For years, I couldn’t live without Vaseline®. I used it several times a day to moisturize my lips. I have to wonder, though – if it were really moisturizing, why would I need it again a few hours later? I have long since realized that there are better alternatives than petroleum jelly for taking care of my skin like my Two Ingredient Alternative to Petroleum Jelly. Petroleum jelly is, of course, a by-product of the oil industry. It was patented in 1872, and over the years has been touted as a cure-all for any and and all skin problems, including burns. Today it is most commonly used to soften skin, and is an ingredient in many cosmetics, lotions and baby-care products. Search the web and you’ll find lots of conflicting information on the safety of petroleum jelly. Some insist that it can cause cancer. The Environmental Working Group rates Vaseline brand as a 1, which is low on the toxicity scale. Generic petroleum jelly gets a 4, which is cause for concern. The problem is that petroleum jelly is often contaminated with Polycyclic Aromatic Hydrocarbons (PAHS). And that scores a whopping 9 because of its potential to cause cancer, and its ability to bioaccumulate in wildlife and humans. Even if not contaminated with PAHS, a by-product of the petroleum industry is just not something I want on my skin. Even if “safe”, it is not healing my skin, but is rather a temporary fix. The thing is, petroleum jelly is not absorbed into the skin, so it does not truly moisturize it, but rather prevents moisture from evaporating. But it also prevents skin from absorbing moisture. It acts as a barrier, but can also trap bacteria in the skin. It does nothing to nourish my skin, and there are other items that I can use that do a better job, and are great for my skin. And it’s funny, now that I’m using these healthier products, I don’t seem to need to use them as often, especially on my lips like I did with Vaseline. So, what other products can be used as a Vaseline® alternative for skin care? Glad you asked. Below are 7 “oils” that may be used as a substitute for petroleum jelly. Six of them are rated 0 for toxicity, and one of them is rated 1 because it a potential allergen to those who are allergic to wool. Many of them are already in your kitchen. Unrefined coconut oil is extracted from the kernels of the seeds of the coconut palm. It provides deep and real moisture, and is easily absorbed into your skin. It also helps to strengthen underlying tissues and helps remove excessive dead cells on the skin’s surface that makes your skin rough and flaky in texture. Cocoa butter is extracted from the roasted seeds of Theobroma cacao, a tree native to the Americas. Cocoa butter is solid at room temperature but melts at body temperature. It is rich and creamy and soaks right into your skin. Shea butter is a vegetable fat obtained from the fruit of a tree native to Africa. Shea butter is primarily composed of fatty acids such as stearic and oleic acids. It is especially great for lips, and anywhere you want to moisturize. Tallow is rendered from the fatty tissue of sheep, cattle, or deer. It consists primarily of fattyacid glycerides. Tallow from grass-fed cows is definitely the skin care ingredient of choice for me. Sebum, the oily substance secreted by our skin is similar in composition to tallow. Is that why it feels so wonderful on my skin? Perhaps. I render tallow from grass-fed beef fat the same way I render lard. Here’s how. And I use the tallow to make this amazing tallow moisturizer. Lanolin is extracted from sheep’s wool. If you are allergic to wool, this is obviously not a good choice for you. It is not a fat, but a wax-like product secreted by the sebaceous glands of sheep. Olive oil is extracted from the fruit of the olive tree. Olive oil has been used since ancient times to soothe and moisturize dry skin. Olive oil is easily absorbed by the skin and is also rich in antioxidants which can help slow the aging of skin. Each of these products may be used alone to soothe and nourish your skin. You may also use them to make a myriad of wonderful skin care products from lip balm to body butter. Below are links to recipes for alternatives to petroleum jelly and other skin care products that you can make yourself. Make Your Own Alternative to Petroleum Jelly with Just Two Ingredients from Learning And Yearning. Homemade Tallow Moisturizer for Natural Skin Care from Learning And Yearning (uses tallow). Blue Chamomile Face Cream from The Nerdy Farmwife (uses jojoba oil, and shea butter). DIY Healing Skin Balm from 20 something allergies (uses tallow, shea butter and cocoa butter). 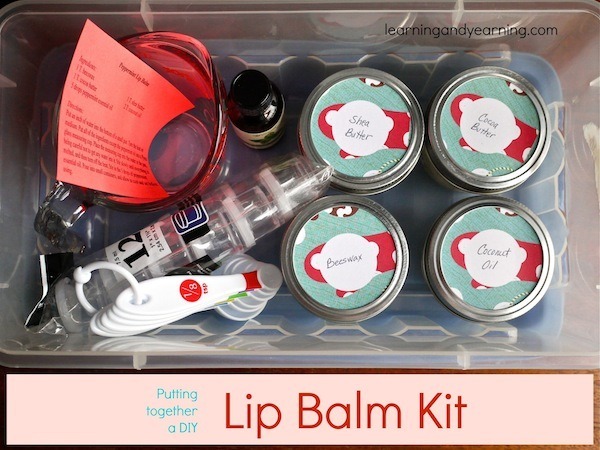 DIY Lip Balm Kit from LearningAndYearning (uses coconut oil, shea butter, and cocoa butter). 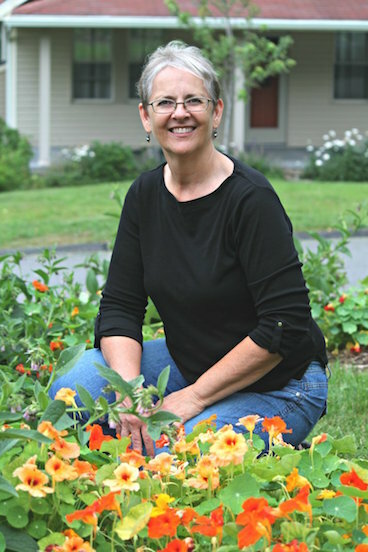 Healthy Skin Tips and Recipes for Winter Months from Keeper of the Home. Includes a recipe for lip balm using lanolin. Natural Tips for Treating Dry Cracked Feet from Live Simply. This includes a recipe for Coconut Shea Butter. Natural Skin Care from LearningAndYearning (several recipes for skin care products). Spicy Coffee Sugar Scrub (with olive oil) from Happy Mothering. What do you use to keep your skin healthy and soft? Great list of recipes! We always try to use natural products in our home and I’m working on making more of my own. Thanks, Chrystal. It’s great to make your own! Great post and I love your healthy alternatives to petroleum jelly. I personally like coconut oil but they are all good choices and some excellent recipes. Will share – twit and pin. Have a wonderful healthy day. Visiting from Wildcrafting Wednesdays. Great post. I’ve been collecting containers over the past year. Time to start mixing up the good stuff to put in them. Spell check the description for “Salve Made Simple”. Salve is spelled incorrectly. I corrected that. Thank you for letting me know! I started out using shea butter. I loved the smell and feel of it on my skin, however I soon realized I was allergic to it. I would slather the stuff on when my skin felt dry and especially after showers. The next morning my body was painfully swollen, including my face. I was very sad as I had bought a bunch of it. I was happy to give it to my daughter when I was sure she was not allergic to it. Now I use coconut oil. I love the feel of it and it readily absorbs into my skin without leaving a greasy feeling behind. I use it for everything, I’ve even started cooking with it. I’m going to order the suggested books. I would love to share the knowledge of healthier skin care products that are free from chemicals and petroleum. Thank you for this post. I don’t think there’s a single product in the world that can’t affect us allergy wise. I use coconut oil a lot myself, although tallow is my favorite. I carry Neutrogena Lip Moisturizer in my jeans pocket ALWAYS. It is the only product I have found that does not melt in my pocket. Would love to switch to something natural is only it would not melt! In my case, the vaseline itself caused me to need the vaseline. Your situation may be the same. If you switched to a natural product, I wonder if you would have to have it with you at all times. Thanks for the tip, Natalie. Was developing psoriasis and used shea butter. It cleared right up. Looking for my unrefined coconut oil right now. Can’t seem to find it. I would definitely add mango oil to this list. I love it added to my natural lotion and cream formulas. Wonderful; yes, there are many more oils that could be used – no reason to use petroleum jelly, right? It is mainly the skin of the mango that has the urushiol in it, but it can also be from the leaves, and bark…. This is such a fab post, thank you! I have switched to using Susan Ma’s Tropic Skincare and makeup range which is a pure plant skincare product after discovering some of the awful ingredients used in the more commercially branded skincare ranges. Products are vegan approved and carry the Leaping Bunny logo. Thank you, Sharon. I’m glad you found a great alternative! 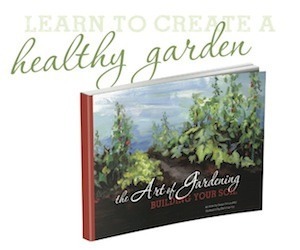 Thanks as always for the great content Learning and Yearning! Absolutely love this post. I use coconut oil and cocoa butter to make a lot of our homemade products and can’t ever imagine going back. Love the “kit” idea! What a cute DIY gift too. Thanks for including the shea butter foot cream too. …and thanks for the wonderful information. Keep spreading the good word!!! So many great options! I like coconut and olive oils personally. Even before I went Full Hippie I never got why people used Vaseline, ick! I’ll have to try one or more of these. I shared this post on Facebook and mentioned just how flaky my face is because of the unusually harsh winter we’ve had this year. I use, on and off, organic virgin olive oil as a facial cleanser, sometimes just water. That’s 1 point in my favor. However … I’m still using my commercial moisturizers and “age-defying antioxidant and anti-free radicals” night serum (well, before I ran out of it a few months ago). I have to admit that I love how my face looks and feels with these products, BUT I do wonder what the chemicals are doing to my skin. I guess this is the perfect time to try something new. Hi Holly! I really think you’ll like the oil cleansing method that I share in this post https://learningandyearning.com/2012/10/28/natural-skin-care/. It will leave your face feeling wonderful! Great post. Wonderful list of alternatives. Congrats on being chosen as a featured post on this week’s Wildcrafting Wednesdays! I hope you’ll join us again and share more of your awesome posts. Thanks for the the advice… Although petroleum-jelly is cheap and easy to use but because of the reason it is made up of a non-renewable resource, I advice everyone to go for above mentioned alternative. Is bag balm safe to use? Hi Theresa! Bag balm contains 3 ingredients – 8-HYDROXYQUINOLINE SULFATE, petroleum jelly and lanolin. Of the 3, lanolin is the only ingredient I would consider using on my skin. According to the Environmental Working Group, 8-HYDROXYQUINOLINE SULFATE can cause non-reproductive organ system toxicity. And of course, I’ve already discussed petroleum jelly in my post. You would be better off not using the bag balm, in my opinion. Of the different options (coconut oil, olive oil, lanolin, etc), which have you found the most promising results for dry lips? Thanks!! Hi Sarah, I tend to like tallow. I’ve found another oil I really like since I wrote this post – emu oil. It leaves my skin feeling like silk. Hi Susan, this may seem like an unusual question, but does using coconut oil on your skin attract insects? That’s one worry preventing me from using it. That’s a great question, Ola. I’ve certainly not noticed that it attracts insects. I also see it as an ingredient in homemade natural insect repellant, and I’ve read that people in the Caribbean use it to repel mosquitos. But again, I have no experience either way. Susan, in my research for my book, I learned that vasoline was originally marketed as a substitution for lard in cosmetics and medicine. It was the deposit left on the inside of oil wells from petroleum mining. I was surprised to learn that people used to use lard (which can go rancid) in the same ways we use petrolatum today. So your post is right on with your recommendations. Thanks, Chris! A little lard is nice on my skin. Be great if someone would come up with a healing ointment for small wounds, that did not have petroleum distillates OR any kind of coconut derivative. I’m allergic to both. Big time. I swell up like crazy. Same with almond oil. Only on the skin, I can eat it all without issue. But my skin reacts severely to Coconut, Petroleum distillates/jelly of any kind (Even white petrolatum) slightly, ever so slightly to Shea butter, but not badly at all. Yes. I think I can help, William! This is what I use: https://learningandyearning.com/plantain-leaf-healing-balm. P. S – love, love your post. Thank you, Ukachi! Have you researched the cost of any of the other products I’ve mentioned in the post? You may find one that’s reasonable for you. We buy a half pig and a quarter cow at a time and always ask for the fat. I render it down for lard and tallow both of which are fantastic for dry skin. It feels free to me since I was buying the meat anyway and there is no extra charge for the fat. Which of the natural products work best on dry skin and cellulite at the same time? Kim, my understanding is cellulite is related to tight fascia. Look into a foam roller which is supposed to help. I am having my first baby in May and would really like to make my own diaper cream, the recipe that you have on your website. Coconut does cause breakout on my skin so I stopped using it and instead use sweet almond oil on my face. I was wondering if coconut oil might cause breakout on baby’s skin? What do you think? As I never made any creams myself nor I used it on the baby I do not know what to expect. Hi Beth, coconut is safe for most babies, but since it does cause a breakout for you, it’s possible that it will for your baby as well. The sweet almond oil may be a better choice for you. You didn’t mention avocado oil or Sea Berry Seed Oil (Sea Buckthorn seed oil). Are they possible alternatives to petroleum jelly? Hi Judy, avocado oil would make a great moisturizer and it’s full of nutrients. Good call! I don’t have any experience with Sea Berry Seed Oil, so I can ‘t speak to that.